CHEF International, located in Islamabad, Pakistan, has partnered with Seva since 2007. 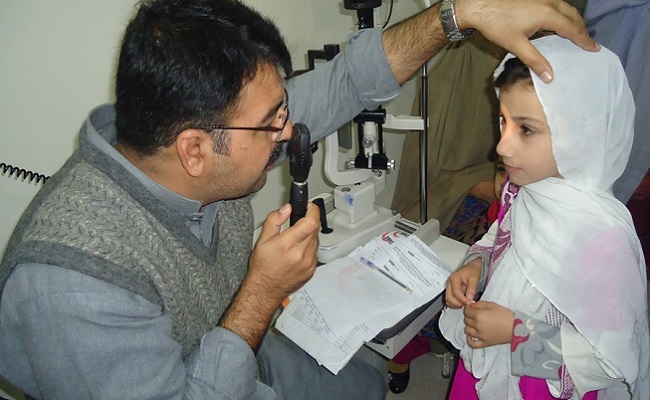 The organization focuses on providing quality and affordable eye care to the farming community of Takht Bhai. In this community alone, there are an estimated 23,000 people with visual impairment and an additional 10,000 who are blind, at least half of whom could see again if they receive cataract surgery. The majority of Pakistan's ophthalmologists work in urban areas at government or private clinics, making accessible and affordable eye care a concern in rural communities. Women living in rural areas are especially vulnerable, as social constraints inhibit their ability to travel to receive necessary services. In addition to supporting equitable access to services in rural areas, Seva supports CHEF International with local staff development, operational improvements and funding for direct services. With this support, Seva has helped CHEF grow into a resource for other eye hospitals in Pakistan. CHEF receives direct services support through the TOMS One for One program and Focusing Philanthropy's World Sight Day campaigns, which provide free or subsidized medical treatments, glasses and surgeries for low-income patients.